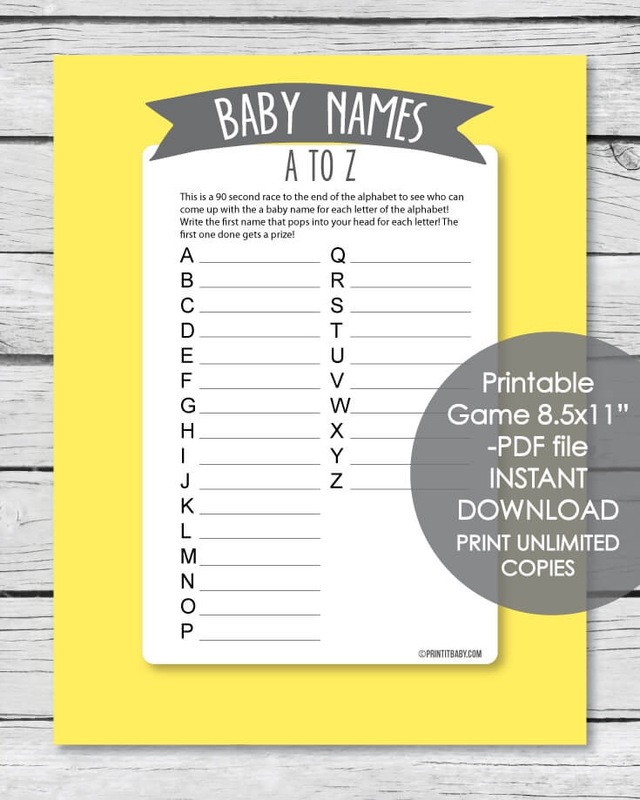 The printable Baby Shower Name Game is a 90 second race to the end of the alphabet! 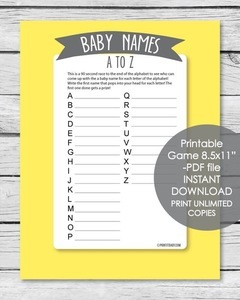 Each guest hurries to write down a baby name for every letter of the alphabet! The one who finishes first wins! Get Ready - Get Set - Go! But that's not all: There are 2 winners in this game ~ the player with the most matches to the 'mother-to-be's' answers - also wins a prize! 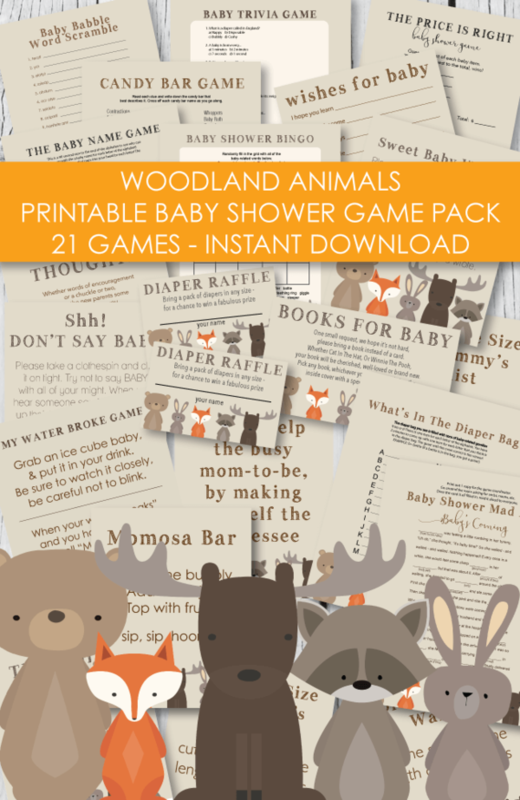 You will receive your printable baby shower game as soon as you order. Then all you have to do is print it out from a computer! 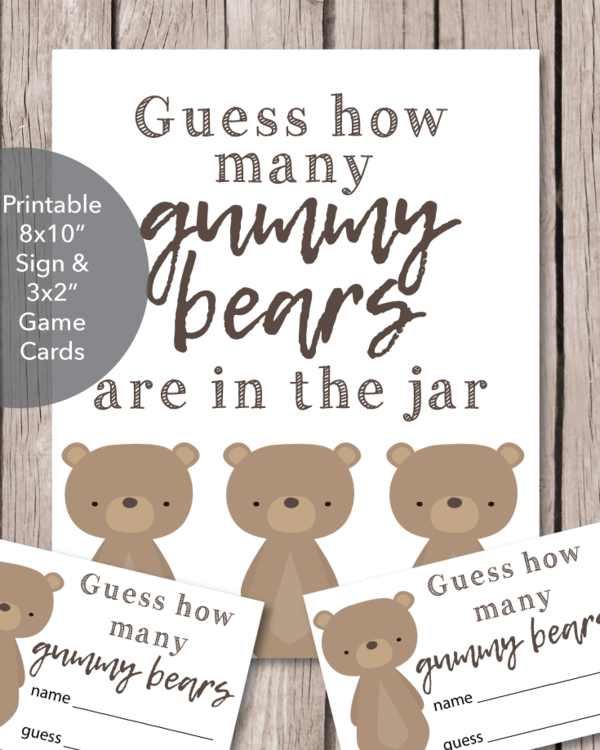 For one low price, you can print as many baby shower game cards as you need!